Home / bezzel-less / smartphone / v7+ / vivo / Vivo V7+ with FullView Display will soon release in the Philippines. 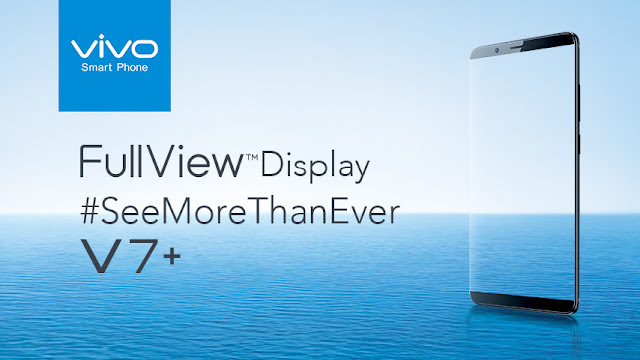 Vivo V7+ with FullView Display will soon release in the Philippines. Vivo Philippines teased on their website about their upcoming smartphone about to launch this 3rd Quarter of 2017. The new Vivo smartphone this new features Vivo smartphone is called FullView Display technology, Vivo's newest innovation on their smartphone that will makes Vivo more standout. It seems it will have a same screen/display technology like LG and Samsung high-end phones that has almost a bezzel-less display. According to Vivo, its not just the FullView Display Technology that will feature on the V7+, they will also release a new camera features. We will update this post as soon as we get additional information about the vivo new smartphone.